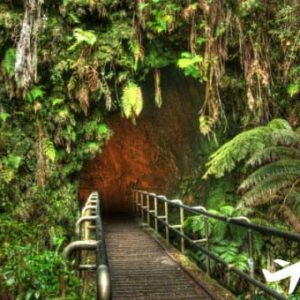 HawaiiVolcanoExpeditions.com is an online service that enables users to research Hawai‘i Volcanoes and book tour experiences. HawaiiVolcanoExpeditions.com offers a variety of tours, tickets and services (“products”) made available by third party suppliers through this and our affiliates’ websites and mobile properties and related applications (collectively, this “Website”). This Website is provided to assist customers in gathering historical as well as travel excursion information, posting opinions of travel excursions, and searching for and booking reservations for Products, and for no other purposes. 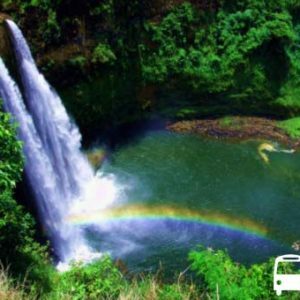 The terms “we”, “us”, “our” and “HawaiiVolcanoExpeditions.com” refer to Holo Hawai‘i Tours, LLC, a Hawai‘i company, and/or our affiliates, parent company, and subsidiaries. The term “you” refers to the customer visiting the Website and/or contributing content on this Website. As a condition of your use of this Website, you warrant that (i) all information supplied by you on this Website is true, accurate, current and complete, (ii) if you have a HawaiiVolcanoExpeditions.com account, you will safeguard your account information and will supervise and be completely responsible for any use of your account by anyone other than you and (iii) you are 13 years of age or older in order to register for an account and contribute to our Website. We do not knowingly collect the information of anyone under the age of 13. You further represent and warrant that you (a) have not previously been suspended by Holo Hawai‘i Tours or otherwise banned from using the Website; (b) are not a direct competitor of Holo Hawai‘i Tours; (c) you will not have more than one HawaiiVolcanoExpeditions.com account at any given time; and (d) that you have full power and authority to enter into this Agreement and in doing so will not violate any other agreement to which you are a party. In accessing or using the Website, you may be exposed to content that is offensive, indecent, inaccurate, objectionable, or otherwise inappropriate. HawaiiVolcanoExpeditions.com does not endorse such content, and cannot vouch for its accuracy. You therefore access and use the Website at your own risk. Unless otherwise stated, HawaiiVolcanoExpeditions.com and/or its licensors own the intellectual property rights in the website and material on the website. Subject to the license below, all these intellectual property rights are reserved. By using this website, you agree that HawaiiVolcanoExpeditions.com is not guaranteeing availability of tickets at the time of purchase. HawaiiVolcanoExpeditions.com reserves the right to schedule tours with vendors and contractors. The tour and transportation vendors will possess Commercial Use Authorization to operate at Hawai‘i Volcanoes National Park. There are occasions due to weather, that the national park or other sites on these tours must close. If we know in advance that this is happening, then we will do our best to notify you before your tour. Site closures, traffic, weather, flight delays, and acts of god are all out of our control. If there is a closure for safety, weather, mechanical or other causes, tours that have already departed or tours that include airfare are not eligible for refunds. If, for any reason, you do not receive the confirmation email, please contact us or call us at 808.626.5834. If you do not contact us to request a confirmation email, it will be assumed that you have received it and you will be responsible for being at the pick-up location at the specified time. 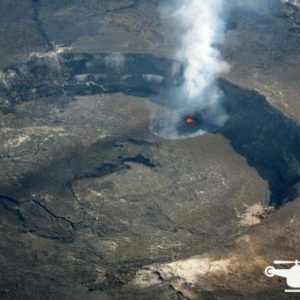 You grant to HawaiiVolcanoExpeditions.com a worldwide, irrevocable, non-exclusive, royalty-free license to use, reproduce, adapt, publish, translate and distribute your user content in any existing or future media. You also grant to HawaiiVolcanoExpeditions.com the right to sub-license these rights, and the right to bring an action for infringement of these rights. Your user content must not be illegal or unlawful, must not infringe any third party’s legal rights, and must not be capable of giving rise to legal action whether against you or HawaiiVolcanoExpeditions.com or a third party (in each case under any applicable law). HawaiiVolcanoExpeditions.com reserves the right to edit or remove any material submitted to this website, or stored on HawaiiVolcanoExpeditions.com’s servers, or hosted or published upon this website. Notwithstanding HawaiiVolcanoExpeditions.com’s rights under these terms and conditions in relation to user content, HawaiiVolcanoExpeditions.com does not undertake to monitor the submission of such content to, or the publication of such content on, this website. This website is provided “as is” without any representations or warranties, express or implied. 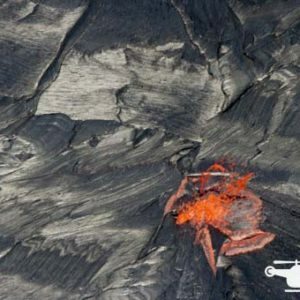 HawaiiVolcanoExpeditions.com makes no representations or warranties in relation to this website or the information and materials provided on this website. These limitations of liability apply even if HawaiiVolcanoExpeditions.com has been expressly advised of the potential loss. matter which it would be illegal or unlawful for HawaiiVolcanoExpeditions.com to exclude or limit, or to attempt or purport to exclude or limit, its liability. You hereby indemnify HawaiiVolcanoExpeditions.com and undertake to keep HawaiiVolcanoExpeditions.com indemnified against any losses, damages, costs, liabilities and expenses (including without limitation legal expenses and any amounts paid by HawaiiVolcanoExpeditions.com to a third party in settlement of a claim or dispute on the advice of HawaiiVolcanoExpeditions.com’s legal advisers) incurred or suffered by HawaiiVolcanoExpeditions.com arising out of any breach by you of any provision of these terms and conditions, or arising out of any claim that you have breached any provision of these terms and conditions. Without prejudice to HawaiiVolcanoExpeditions.com’s other rights under these terms and conditions, if you breach these terms and conditions in any way, HawaiiVolcanoExpeditions.com may take such action as HawaiiVolcanoExpeditions.com deems appropriate to deal with the breach, including suspending your access to the website, prohibiting you from accessing the website, blocking computers using your IP address from accessing the website, contacting your internet service provider to request that they block your access to the website and/or bringing court proceedings against you. HawaiiVolcanoExpeditions.com may revise these terms and conditions from time-to-time. Revised terms and conditions will apply to the use of this website from the date of the publication of the revised terms and conditions on this website. Please check this page regularly to ensure you are familiar with the current version. HawaiiVolcanoExpeditions.com may transfer, sub-contract or otherwise deal with HawaiiVolcanoExpeditions.com’s rights and/or obligations under these terms and conditions without notifying you or obtaining your consent.